The way business owners promote their businesses with social media marketing changes as time goes on. The marketing methods that delivered positive results to your business during the early 2000’s are no longer valid. During the past few years, we were able to see some rapid changes taking place in marketing. 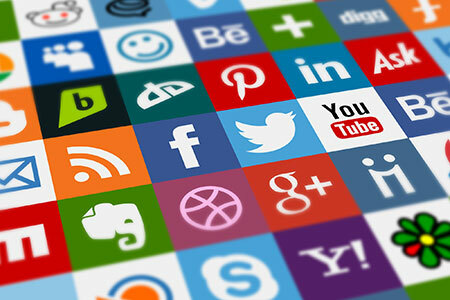 The increasing popularity of social media networks played a major role behind the above-mentioned fact. Things have changed in such a way, so that no business out there in the world can survive without social media marketing. 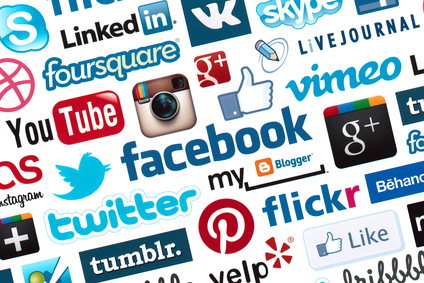 Different social media networks are being used by people in today’s world. Out of those social media networks, Instagram is the rising one. The popularity of Instagram is increasing rapidly along with time. This has created an ideal platform for the business owners to promote their businesses as well. You just need to spread voice about your business on Instagram using the available features, such as Instagram posts and Instagram stories. Then you can easily promote your business among potential audiences. Even though Instagram is the most up and coming social media network, it doesn’t mean that you should ignore the other social media networks. You need to pay a lot of attention towards promoting your products and services on them as well. To get the best possible results, you can think about coming up with a social media management plan, where you focus attention towards the other leading social media networks, such as Facebook, Twitter and Pinterest. You don’t have to spend a fortune to promote the business across such platforms. However, you will be able to get outstanding results for the time and effort that is being spent. Should You Have an Instagram Account? Now you must be wondering whether it is really important for you to have an Instagram account or not. Yes, you must think about getting an Instagram account for your business. It is similar to having a .com domain for the business website. Imagine the reason why you made the decision to select a .com domain for your business website. That’s because you wanted to gain more visibility and credibility towards your business. Instagram can help you to do the same. Therefore, you need to understand that no business out there in the world can survive without Instagram and Instagram Marketing. Due to these reasons, you need to pay special attention towards getting your Instagram account created. Having social media accounts for your business just for the sake of it will never be able to deliver any positive results to you. You need to use them in order to launch social media marketing campaigns. Then you will be able to get the best possible results offered by them at the end of the day. All your business competitors are using social media marketing in order to promote their businesses. They are successful with their efforts as well. You shouldn’t wait until the moment they settle down with their businesses by attracting your potential customers. You should kick-off your social media marketing campaigns immediately and receive the positive results that come along with them. Even though there is an urgent need to go ahead with social media marketing campaigns, you are not encouraged to do them on your own. You may feel like doing them on your own, as you are familiar with what the social media networks. However, it is something that should be done by professionals. Only they know the best approach to follow in order to reach to the potential audiences and transform them to lifelong customers of your business. That’s the main reason why you need to handover the task to an expert social media marketing consultant. If you are searching for such a social media marketing consultant, you can simply contact Adam Evans. He will be able to manage your business Instagram account and run all the marketing campaigns to provide you with positive results at the end of the day. Is it Important to Hire a Professional?? Yes, it is extremely important for you to hire a professional. All your business competitors are using social media networks to promote similar products and services. To make sure that you get the most out of social media marketing, you need to make sure that more people get attracted towards what you offer. Only the experts know how to do it. The experts are in a position to initiate a strategic marketing campaign after conducting an analysis of your business. They will know how exactly to approach your potential customers and provide you with the positive results that you wanted. Therefore, you will be able to end up with positive results at the end of the day. The traditional marketers will not be able to deliver positive results to you with your social media marketing campaigns. That’s the reason why you need to look for a social media marketing consultant, who is an expert in the digital space. They are aware of the strategies, which need to be followed when running digital marketing campaigns. Hence, you just need to keep the peace of mind and you will be able to end up with positive results. Now you don’t need to scratch your head and start looking for a social media marketing expert. Adam is there to assist with his team at Thought Media. All you have to do is to reach out to him and explain about your requirements. Then he will do an initial analysis of your business and craft a strategic digital marketing strategy. You can then ask him to go forward with that strategy and you will be able to reap the benefits offered by it in the long run.